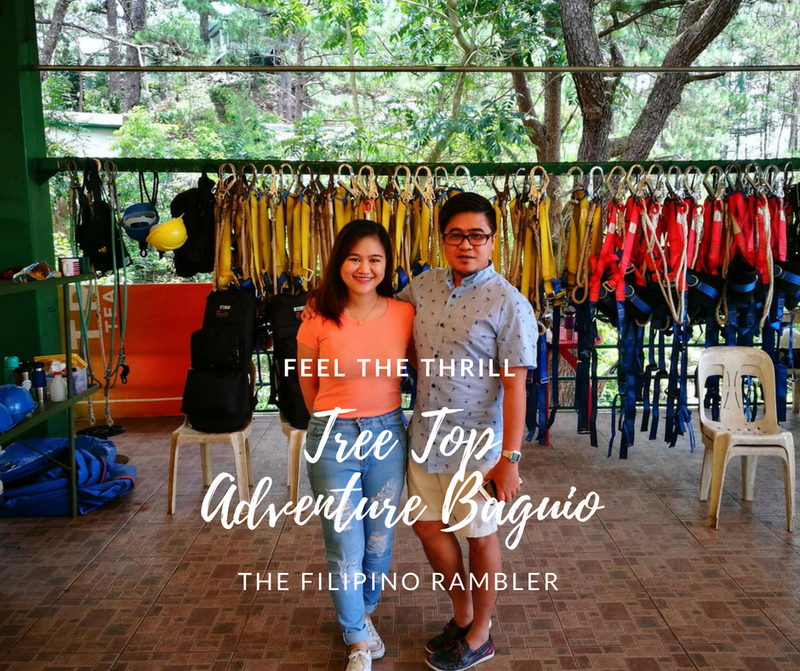 Home Baguio itinerary travel travels Tree Top Adventure When In Baguio Look: Doing the 60 Foot Tree Drop at Tree Top Adventure Baguio and More! 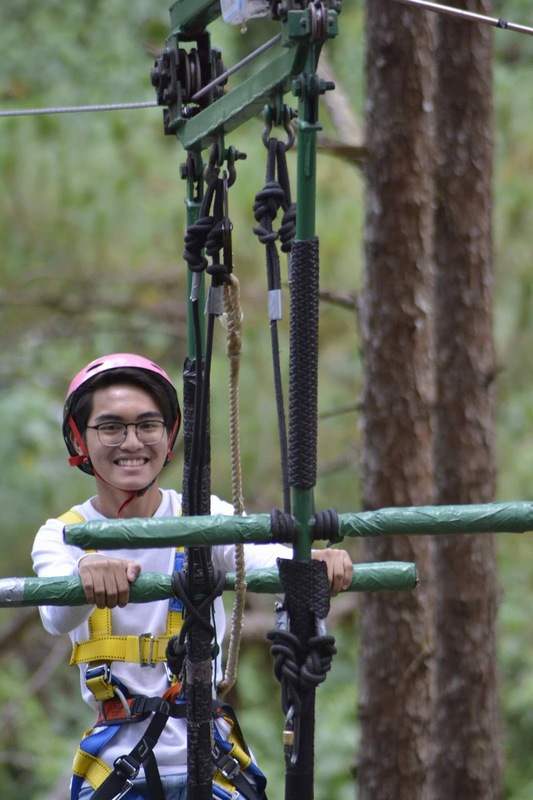 Look: Doing the 60 Foot Tree Drop at Tree Top Adventure Baguio and More! For the faint-hearted, the 60 foot tree drop at Tree Top Adventure will surely give chills to your spine. To those who want to conquer their fear of heights or just wanting to experience something extreme, this activity shouldn't be missed. Are you brave enough to feel the thrill? Yes, I was back in one of my happy places-Baguio. (Click HERE to check the hotel where I stayed at during this trip.) Part of my itinerary for that visit was Tree Top Adventure. It is my 3rd time to be here and also my 3rd time to do the Tree Drop. I'm not really big of a dare devil, but sometimes, I want to do something extreme. I can still remember the first time I tried the Tree Drop, 3 years ago. My palms were sweating. I felt my heart was pounding faster. I had butterflies in stomach. And seeing a friend who tried it before me and backed-out, I was like--- can I actually do this? Despite all these, I was determined to take the challenge. And man, I did! Three times! I did the 60 ft tree drop, thrice! Yeah, I have come to include that as a medal-- the distinction of having done the Tree Drop at Tree Top Adventure thrice. I'm not sure if I share this honor with someone else. Or if someone has a record of four. Or more. But maybe,I'm the sole holder of this title. Someone from Tree Top Adventure Baguio verify this please! Lol. It's very easy to find Tree Top Adventure. 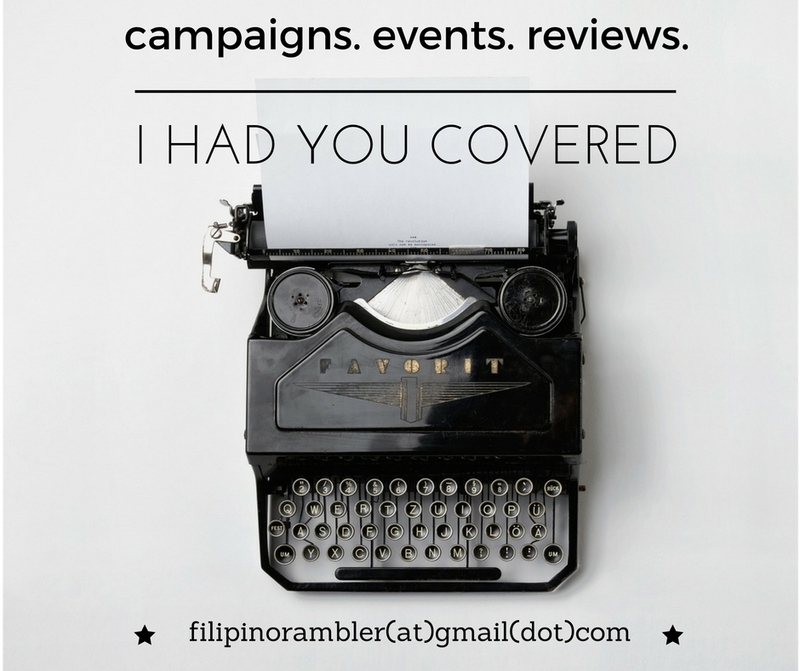 It is located conveniently at Camp John Hay. At the entrance, you get to see the different rides being offered. You just have to choose what you want to try then pay for the tickets. You don't want to lose the stubs because you have to present them prior to the ride. Now, what's the best ride to try at Tree Top Adventure? Well, aside from the Tree Drop, I highly recommend doing all. Tee-hee! :P SIGNATURE RIDES The Canopy Ride is like a cable car ride. Suspended 100 feet above the ground, the slow movement gives one a nice view of trees and nature. Do zip line at the Superman Ride. This adventure will take you to a superhero flight. It is 150 feet high over a ravine, and the view from above is truly breathtaking! The Silver Surfer is another thrilling ride. True to its name, it's like surfing through the wind, gliding from one tree top to another. Taken from my visit to TTA last year The Sky Walk, gives you a 'slow down'. It may seem like nothing scary, but for those who have fear of heights, this could give you aversion. From here, you'll have a marvelous view of the old Baguio. Take some time to enjoy the cool breeze and enjoy the scenic spots.